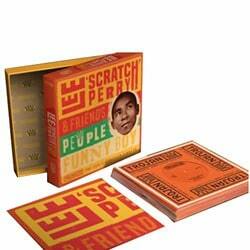 In the late spring of 1968, after years spent making his mark within the Jamaican music industry as an artist and jobbing producer, Lee ‘Scratch’ Perry unveiled his own Upsetter Records label. Over the months that immediately followed, his exceptional talent was repeatedly reinforced with the release a series of popular 7” singles, the most successful was his ground-breaking hit, ‘People Funny Boy’. 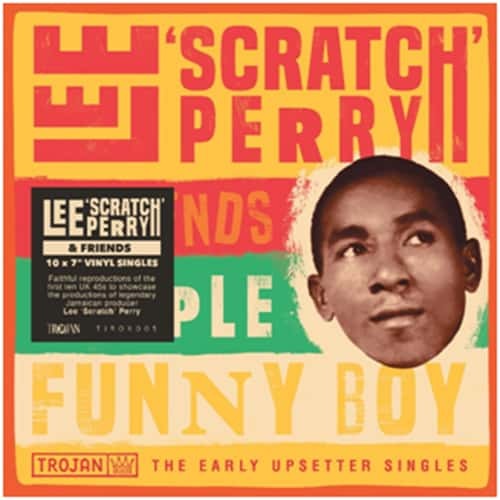 By the summer of ’68, the recently launched Trojan Records had acquired exclusive rights to Perry’s productions, issuing the best of his work on the company’s flagship label, prior to creating a British version of his Upsetter imprint, early the following year. This deluxe 7” box set collection gathers faithful reproductions of the first ten 45s that showcased his work in the UK, each pressed on high quality vinyl and presented in specially created card sleeves. Also featured within this stylishly designed collection is a fold-out poster-sized insert, featuring a detailed essay on Perry by the producer’s official biographer, David Katz.